We recognize the importance of bringing together experts in K-12 subject-area content and practice with experts in measurement, research design, statistics and policy. We couple that with an advisory board made up of policymakers and practitioners. It is this integration of practitioners and scholars, substance and methods, that promises to yield rigorous, grounded insights. 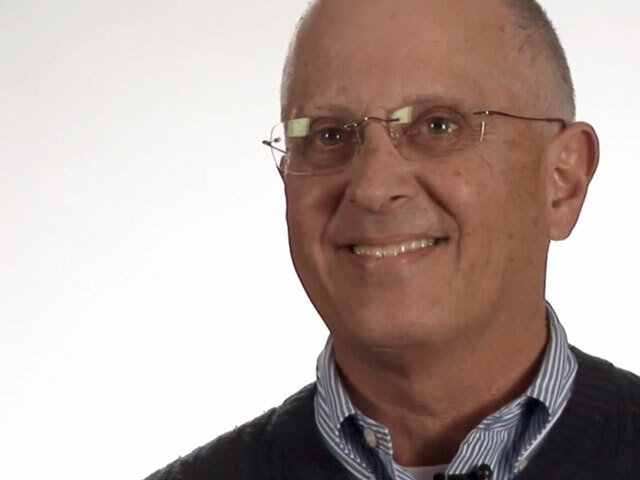 Andy Porter has led successful education research and development centers for more than 30 years. He directed the Wisconsin Center for Education Research for 15 years and the Learning Sciences Institute at Vanderbilt University for four years. Trained as a statistician and psychometrician, Dr. Porter has spent his career studying teachers’ decisions about what to teach and the effects of those decisions on student achievement. The theory for standards-based reform that guides the work of the Center evolved out of this work, and the Surveys of Enacted Curriculum (SEC) tool he developed is one of the starting places for the Center’s measurement and intervention studies. He currently chairs assessment and accountability technical advisory committees for Ohio, Wisconsin, and Missouri, and formerly served as a member of the National Assessment Governing Board and dean of the University of Pennsylvania Graduate School of Education. Dr. Porter is past president of AERA, a member of the National Academy of Education, and in 2015 won the Distinguished Contributions to Research in Education Award. Laura Desimone is the Associate Dean for Research at the University of Delaware College of Education and Human Development. She previously was a professor of education policy at the University of Pennsylvania Graduate School of Education and at Vanderbilt University. Dr. Desimone conducts research on education policy issues across the PK–12 education spectrum. She has extensive experience working with a myriad of large educational databases (National Education Longitudinal Study of 1988, Early Childhood Longitudinal Study Kindergarten Class, National Assessment of Educational Progress, and Schools and Staffing Survey), and maintains a diverse research portfolio that includes randomized controlled trials of classroom and school level interventions and sophisticated studies of policy effects on teaching and learning. She co-directed Penn’s IES-sponsored predoctoral training program and directed an IES postdoctoral program. Dr. Desimone was also the principal investigator on an IES-funded partnership grant with the School District of Philadelphia. Dr. Desimone has served as a senior research scientist at AIR. She also was a researcher at the Bush Center for Child Development and Social Policy at Yale University, the RAND Corporation, and the Frank Porter Graham Child Development Institute in Chapel Hill, North Carolina. Her work has been continuously funded by a variety of sources, including IES, National Science Foundation (NSF), and the Spencer Foundation. She has published widely in top peer-reviewed journals and has served in many national leadership roles. Michael S. Garet is the vice president and a senior staff member of the Education Program at American Institutes for Research (AIR). His areas of specialization include methodological issues in evaluating the impacts of educational interventions, the analysis of large-scale survey and assessment data, and the analysis of organizational structure and process. His recent work has focused on teacher quality and on professional development in reading, mathematics, and science. Dr. Garet was the project director for a large-scale randomized field trial supported by Institute of Education Sciences (IES), examining the effectiveness of teacher professional development in middle school mathematics and a parallel study in early reading. Dr. Garet also was co-principal investigator for a national longitudinal study of No Child Left Behind (NCLB). Mengli Song is a principal research scientist in the Education Program at AIR. Her areas of expertise include research design, advanced quantitative methods, and evaluations of educational programs and policy. Dr. Song has more than 15 years of experience in educational research and evaluation. She currently serves as the quantitative task leader for two large-scale randomized controlled trials in the area of teacher quality, funded by IES. Recently, Dr. Song served as the project director of a study on school accountability status and the outcomes for students with disabilities, funded by IES, and as a co-principal investigator for an impact study on professional development, funded by NSF. Her work has been presented at national conferences and published as technical reports, a book, book chapters, and articles in peer-reviewed journals. Morgan Polikoff is an associate professor of education policy at the University of Southern California's Rossier School of Education. His work on the design, implementation, and effects of standards, assessment, and accountability policy has been funded by NSF, the William T. Grant Foundation, and the Smith Richardson Foundation. He is an expert in the instructional effects of standards policies and the measurement of instruction and standards and assessment content using the SEC. He recently completed a study of Common Core State Standards–aligned textbooks in elementary mathematics, which uses SEC content analyses. Seth Brown, a research analyst at AIR, serves as the deputy director of the Study of the Implementation and Impact of Feedback on Teacher and Principal Performance, a multisite randomized control trial examining the effectiveness of a set of teacher and leader evaluation systems. Through this project, he contributes to the development of the study design and data collection instruments, serves as deputy task director for the analysis and reporting team, and oversees the study finances and staffing. Recently, Mr. Brown completed work on the Middle School Mathematics Professional Development Impact Study, where he was responsible for all data management and analysis of teacher survey, teacher knowledge, and teacher practice. KERSTIN CARLSON LE FLOCH, PH.D.
Kerstin Carlson Le Floch is a managing researcher at AIR, specializing in studies of the implementation of accountability policies and support for school improvement. Methodologically, Dr. Le Floch specializes in case study and qualitative analysis as well as the development of data collection instruments, including interview protocols and surveys. Dr. Le Floch currently directs the Study of School Turnaround on behalf of IES, and the Study of the Early Implementation of Flexibility under the Elementary and Secondary Education Act. She served as the project director and deputy project director of the Study of State Implementation of NCLB and National Longitudinal Evaluation of NCLB. Nelson Flores is an Associate Professor of educational linguistics at the University of Pennsylvania Graduate School of Education. Dr. Flores has collaborated on several studies related to the education of Latino emergent bilingual students in U.S. schools. He also served as the project director for the City University of New York (CUNY)–New York State Initiative on Emergent Bilinguals, a New York State Education Department–funded initiative that seeks to improve the educational outcomes of emergent bilingual students through an intensive seminar series for school leaders combined with on-site support by CUNY faculty. He currently serves as the principal investigator of the Philadelphia Bilingual Education Project, which seeks to examine the historical and contemporary cultural politics of bilingual education in the School District of Philadelphia and to provide professional development support to bilingual teachers throughout the district. In all of these roles, he has worked to make the Common Core State Standards more responsive to issues related to bilingualism and the needs of language-minoritized students. Doug Fuchs is a professor and the Nicholas Hobbs Chair in Special Education and Human Development of the Department of Special Education at Peabody College of Vanderbilt University, a professor of pediatrics at Vanderbilt University Medical Center, and a senior investigator at Vanderbilt Kennedy Center. Before joining Vanderbilt in 1985, Dr. Fuchs had been a first-grade teacher in a private school for children with behavior problems in Baltimore, a fourth-grade classroom teacher in a public school outside Philadelphia, and a school psychologist in the Minneapolis Public Schools. He is the author or coauthor of more than 300 articles in peer-reviewed journals. He is recently identified by Thomson Reuters as among the 250 most frequently cited researchers in the social sciences in the United States from 2000 to 2010, inclusive. In 2014, he was a recipient of the American Educational Research Association’s Distinguished Contributions to Research in Education Award, the purpose of which “is to publicize, motivate, encourage, and suggest models for educational research at its best.” In 2009, he was described as one of 14 “revolutionary educators” by Forbes Magazine; in 2008, he was among “100 Distinguished Alumni” in the first 100 years of the College of Education and Human Development of the University of Minnesota; in 2005, he was awarded Vanderbilt University’s Earl Sutherland Prize for Achievement in Research; in 2003, he was given the Career Research Award by the Council for Exceptional Children. Lynn S. Fuchs is the Nicholas Hobbs Professor of Special Education and Human Development at Vanderbilt University. She has conducted programmatic research on assessment methods for enhancing instructional planning, on instructional methods for improving mathematics and reading outcomes for students at risk for and with learning disabilities, and on the cognitive and linguistic characteristics associated with mathematics development. Dr. Fuchs has published more than 350 empirical studies in peer-reviewed journals and sits on the editorial boards of a variety of journals (e.g., Journal of Educational Psychology, Scientific Studies of Reading, Reading Research Quarterly, Elementary School Journal, Journal of Learning Disabilities, Exceptional Children). She has been identified by Thomas Reuters as one of the most frequently cited researchers in the social sciences and has received a variety of awards to acknowledge her research accomplishments that have enhanced mathematics and reading outcomes for children with and without disabilities, including the American Educational Research Association’s Distinguished Contributions to Research in Education Award and the Council for Exceptional Children’s Career Research Award. Toni Smith is a senior researcher at AIR. 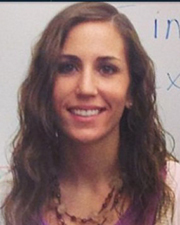 Her research focuses on mathematics instruction and teacher development. Dr. Smith currently directs an evaluation of a professional development program aimed at improving elementary teachers’ mathematics and science instruction, funded by the National Science Teachers Association, as well as a networked improvement community of teachers aimed at improving student-centered mathematics instruction, funded by the Nellie Mae Education Foundation. In addition, Dr. Smith is the implementation leader for an IES-funded, randomized controlled trial investigating the impact of mathematics content-focused professional development on teachers’ knowledge, instruction, and students’ achievement and serves as a content expert on a U.S. Department of Education–funded project that studies strategies to support student success in Algebra I. Prior to joining AIR, Dr. Smith was a high school mathematics teacher and, later, an assistant professor of mathematics and mathematics education. She holds a B.A. in mathematics, M.S. in applied mathematics, and Ph.D. in curriculum and instruction, mathematics education. Amy Stornaiuolo is an Associate Professor of reading, writing, and literacy at the University of Pennsylvania Graduate School of Education. She has been widely recognized for her research and writing on adolescent literacy and teacher development, with a particular focus on digital media and learning in schools. A former writing teacher, Dr. Stornaiuolo has worked extensively with English language arts teachers to incorporate technologies into their classrooms, and her current work examines how schools develop innovative models within standards-based reform efforts. 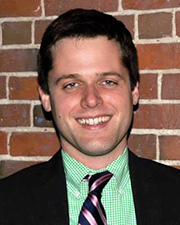 Adam Kirk Edgerton is a Ph.D. student in Education Policy at the University of Pennsylvania. He previously served as a high school English teacher, Upward Bound Director and Vice President of Academics and Operations. His research interests involve how nostalgia shapes public perceptions of standards-based reform. 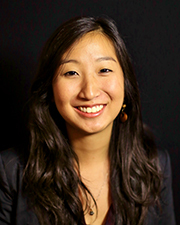 Katie Pak is an Ed.D. student in Educational Leadership at the University of Pennsylvania. She has previously served as a special education teacher in Washington, D.C. and worked intermittently in the D.C. Public Schools Central Office. Her research interests involve the study of district leadership and support of instructional improvement initiatives and school transformation. Emily Plummer is a Ph.D. student in Reading, Writing, and Literacy at the University of Pennsylvania. She previously served as an English language arts high school teacher in the Philadelphia area and is a Pennsylvania Writing and Literature Project (PAWLP) fellow. Her research interests including writing, in particular, digital writing, and adolescent literacy.